Support the good cause right from the beginning	Still small but with a big motivation. We at blOOturtle believe that a healthy planet should be the main objective of every company working with kids’ products. And this includes supporting good causes right from the very beginning. We are founded beginning 2018 and even though finding a spot for a small and specialized (eco-friendly) kids book publishing company is hard, we want to show where we are right from the beginning. The Safer Cities for Girls programme has been developed with partner organisations UN-Habitat and Women in Cities International. The programme goal is to build safe, accountable, and inclusive cities with and for adolescent girls (aged 13-18). The expected outcomes of the programme include increased safety and access to public spaces, increased active and meaningful participation in urban development and governance and increased autonomous mobility in the city for girls. blOOturtle supported this programme by donating one Euro per english book sold online between the 8-21 october 2018. The goal is to provide girls and women with good information about the body, sexuality and health problems, to encourage them to live independently so that they can freely decide their health and their body. In a sheltered environment, girls and women can learn, share and learn to embrace and appreciate their body and experience many opportunities to handle their health responsibly and to be empowered in their daily lives. The Federal Association currently networks 16 women’s health centers. He is a member of the National Women and Health Network, the European Women’s Health Network (EWHNet) and Associate Member of the Federal Association of Patient Centers (BAGP). Representatives of the Federal Association are involved in the expert discussion on women’s health in the Federal Ministry of Health and in the Women’s Health Working Group of the Federal Center for Health Education (BzgA). 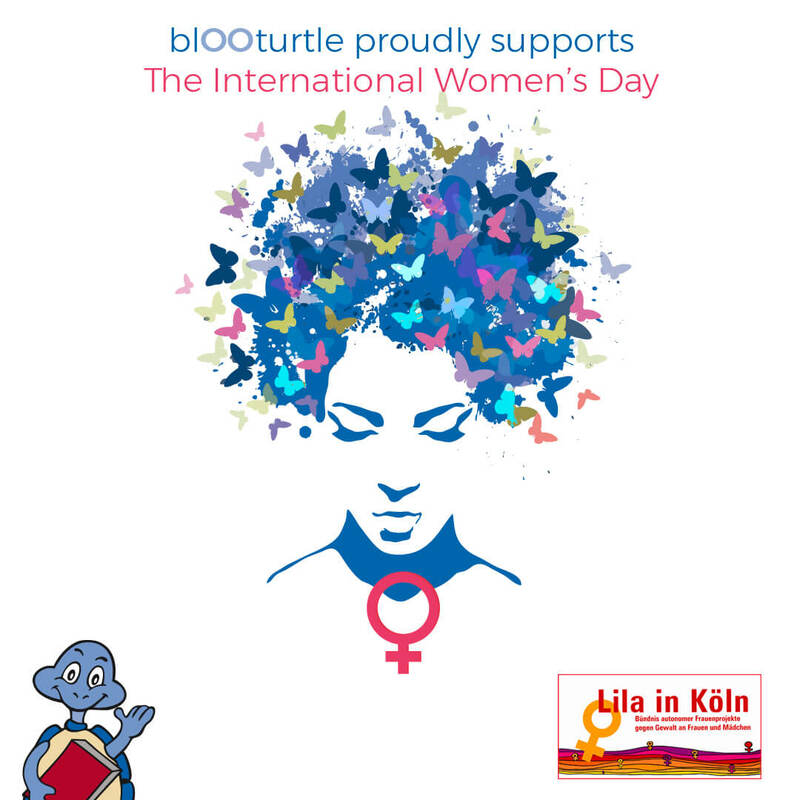 blOOturtle supported this programme by donating one Euro per german book sold online between the 8-21 october 2018. 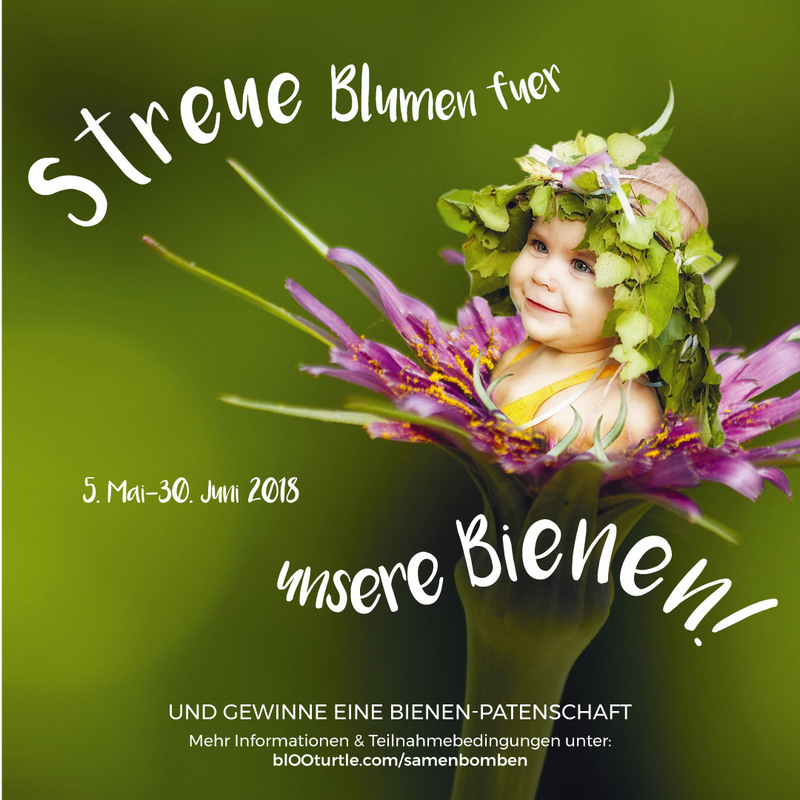 The eco-friendly childrend book “Die Wiese” (The Meadow) by Susan Bagdach shows the importance of diversity. For this reason we offered seed bombs for free – for a diversity of plants, animals and humans! There was also a draw for winning a bee sponsorship. blOOturtle supported this programme by a promotion between the 5 may – 30 june 2018. 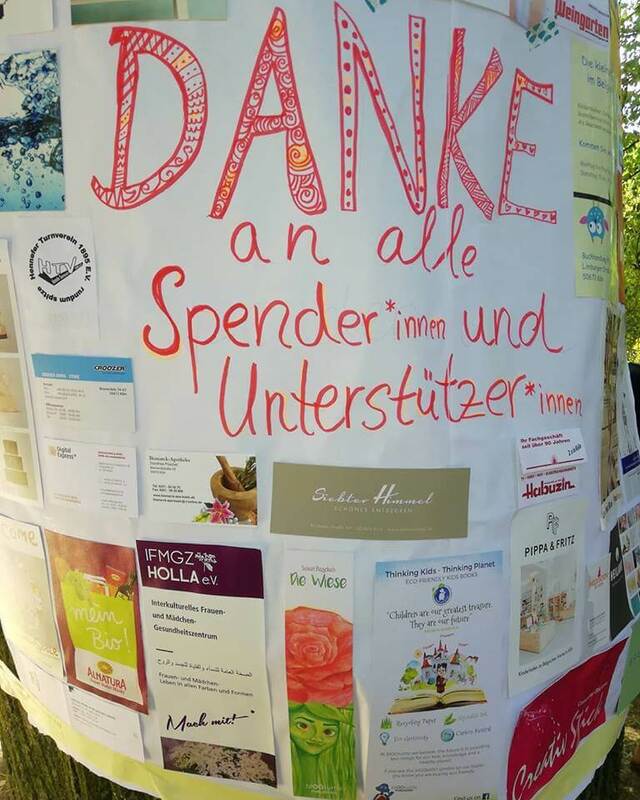 We are glad to have helped the sponsor of the Stadtgarten playground with our donation of the books “Die Wiese” for your tombola!!! It was a great party … for another successful year for the central playground to let off steam in nature !!! Lila in Köln (Purple in Cologne)assists and accompanies girls and women on a base of feministic society analysis. On a municipal, regional and federal level, it supports equal participation in all social scopes and strengthens the ideas of a self-determined life. Between the 8-11 March 2018 we donated one Euro for all German titles sold online. The Global Women’s Project, an independent registered Australian non-profit organisation, who gives women around the world the tools and resources they need to build better lives for themselves, their families and communities.